Saluting our Veterans and thanking them on this special day is very nice, but supporting them first hand at a local event is an even greater "Thank You". Tomorrow is a very special High Heeled happy hour with special guest Gale Warren Paige, whom is the founder of Invisible Wound right here in our backyard of Leesburg, Va. Proceeds will also go to benefit Hope Lives There. No one should have to go it alone or feel alone, especially not those who have given so much. Invisible Wound has programs dedicated to helping our warriors returning home from active duty who are now fighting a very different battle: PTSD. 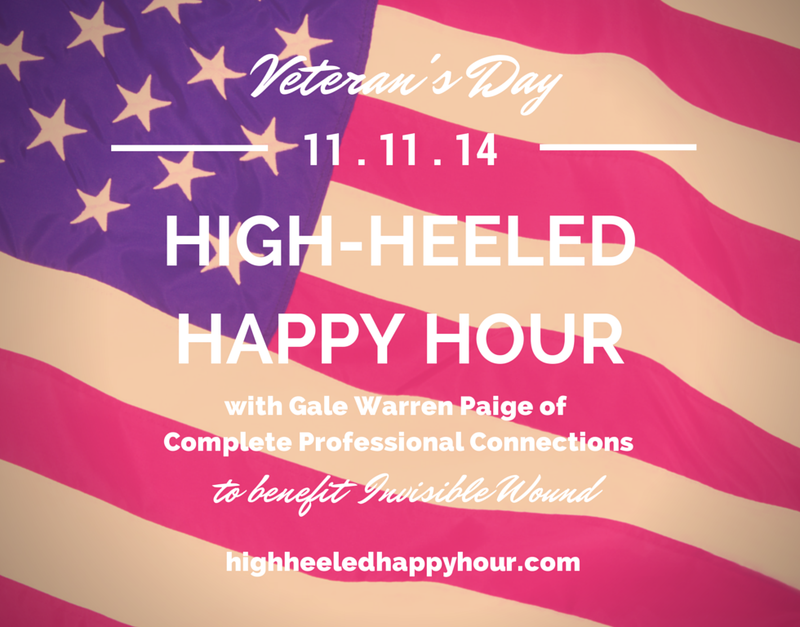 Go to highheeledhappyhour.com for more information on how you can attend tomorrow's very special High Heeled Veteran's Day Happy Hour. A heartfelt thank you of extraordinary gratitude to these extraordinary men, women, and families who served the United States of America. Because of you, we rest soundly at night.